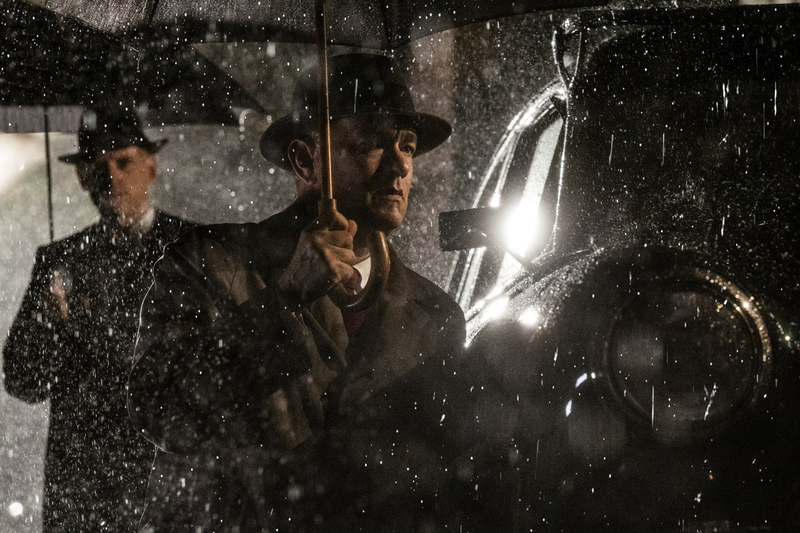 One of the greatest untold stories during the Cold War is about to unfold on screens in “Bridge of Spies” directed by three-time Academy Award® winner Steven Spielberg and starred in by a group of multi-talented and award winning actors led by two-time Oscar® winner Tom Hanks; three-time Tony Award® and two-time Olivier Award winner Mark Rylance; Scott Shepherd; Academy Award nominee Amy Ryan; Sebastian Koch; seven-time Emmy Award® winner and Oscar nominee Alan Alda; Austin Stowell; Mikhail Gorevoy and Will Rogers. 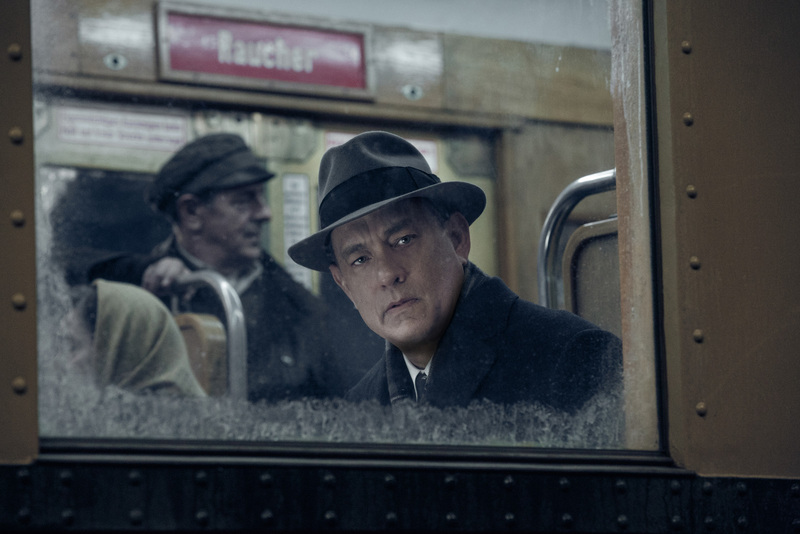 Sometimes truth is stranger than fiction, and with “Bridge of Spies,” the incredible story of an ordinary man placed in extraordinary circumstances, it is all the more compelling because the character at the heart of the story is a real person. In the 1950s during the early stages of the Cold War, the FBI arrests Rudolf Abel (Mark Rylance), a Soviet agent living in New York, the fear and paranoia only escalate. Charged with sending coded messages back to Russia, Abel is questioned by the FBI but refuses to cooperate, declining their offer to turn on his country, and is detained in federal prison pending trial. The government, in need of an independent attorney to take on Abel’s defense, approaches James Donovan (Tom Hanks), an insurance lawyer from Brooklyn. But Donovan, a former prosecutor at the Nuremberg trials and highly regarded within the legal community for his profound skills as a negotiator, has little experience with allegations of this magnitude and isn’t eager to get involved. Advocating such a deeply unpopular defense would make him a public figure and could subject his family to scrutiny, disdain and even, potentially, danger. Donovan eventually agrees to represent Abel, as he is committed to the principles of justice and the protection of basic human rights and wants to ensure Abel receives a fair trial regardless of his citizenship. As he prepares his defense strategy, a bond begins to develop between the two men, one built on mutual respect and understanding. Donovan admires Abel’s strength and loyalty and mounts an impassioned plea to prevent him from receiving the death penalty, arguing that his actions were those of a good soldier following instructions on his country’s behalf. Sometime later, an American U-2 spy plane is shot down over Soviet airspace while on a reconnaissance mission, and the pilot, Francis Gary Powers (Austin Stowell), is convicted and sentenced to 10 years in prison in Russia. The CIA, while categorically denying any knowledge of the mission, is fearful that Powers may be coerced into revealing classified information. Having witnessed Donovan’s impressive skills in the courtroom, CIA operative Hoffman (Scott Shepherd) reaches out to recruit him for a national security mission of great importance, and because of his incredible foresight, Donovan is soon on his way to Berlin to negotiate a prisoner exchange between the U.S. and the Soviet Union, driven by a love for his country, unwavering belief in his convictions and a tremendous amount of courage. Once he arrives however, Donovan learns that an American student named Frederic Pryor (Will Rogers) has been arrested in East Berlin while trying to return to his home in the West, and despite the CIA’s direction to focus only on the pilot, he decides to negotiate for the release of both the pilot and the student, as he refuses to leave anyone behind. Navigating the unfamiliar waters of high-stakes international intrigue, James Donovan rose to the occasion with a modesty befitting the heroic acts that he performs, becoming an unsung civilian hero, and, in the process, the inspiration for an incredibly powerful story and film. “Bridge of Spies” opens October 14 in cinemas nationwide from 20th Century Fox to be distributed by Warner Bros.